Each level of the Intuitive Development Series is a set of six classes taught by Mary Swanson. These classes were edited from live recordings made at the Art House in San Francisco. Background and street noises are part of the experience. Many Thanks to Tom Lattanand (www.Soundtank.com) for his expert audio engineering. 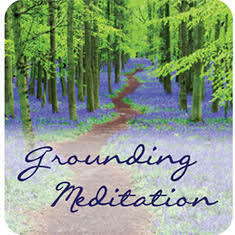 Each class includes lectures, meditations, class discussions and homework. They are structured to help you feel as if you were part of the class. They are also divided into tracks, so you can easily navigate which part of the class you’re listening to. Once the class is successfully completed, many students like to listen to the meditations again and again. Each class is a complete experience that prepares you for the next class. They are meant to be listened to sequentially. In Level Three you will learn about your Past Lives. In these six classes we go deep into our understanding of the patterns in our lives. We learn about the Astral Body, the Akashic records, our own Record Keeper and how to heal past life experiences. As we learn to observe the relationship between experience and our unconsciously held beliefs, we come to a greater understanding of how we create our own lives.